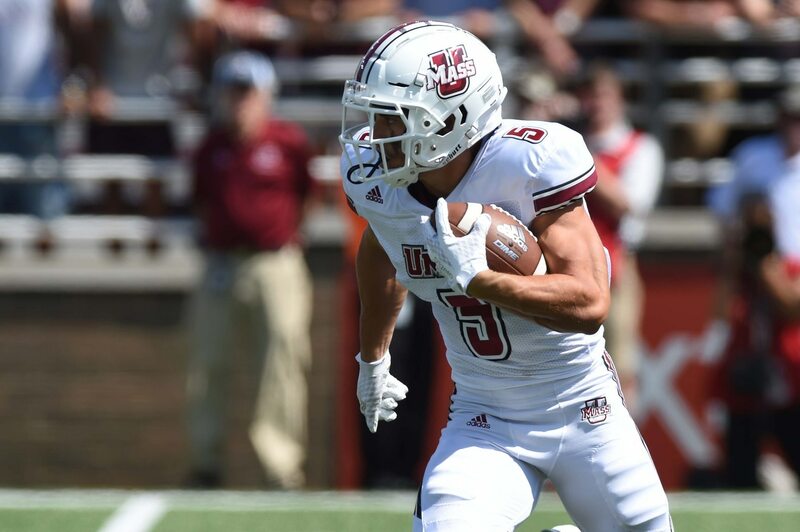 Andy Isabella is one of the 2019 NFL Draft prospects most folks probably haven’t heard of, but that might be about to change — sooner rather than later. Coming out of UMass, the receiver was a regular on our jaw-dropping performances lists during this past college football season. He put up incredible stats, week in and week out, finishing his 2018 season with 102 receptions for 1,698 yards and 13 touchdowns. Isabella is in Mobile, Ala. for the Senior Bowl. On Tuesday he said he’s been working with NFL Hall of Famer Randy Moss, and that he’s been timed running a 4.26-second 40 yard dash. For the record, Cincinnati Bengals receiver John Ross holds the combine record from a couple years back when he blazed the track in Indy with a 4.22-second 40. So, if Isabella can showcase that type of speed in February when he gets his shot, his stock will almost certainly rise.